Create and manage a digital membership program. Members receive a digital membership ID. Add it to Apple’s Wallet or Android’s PassWallet and it will automatically pop-up when members are by determined locations. Track every entry. 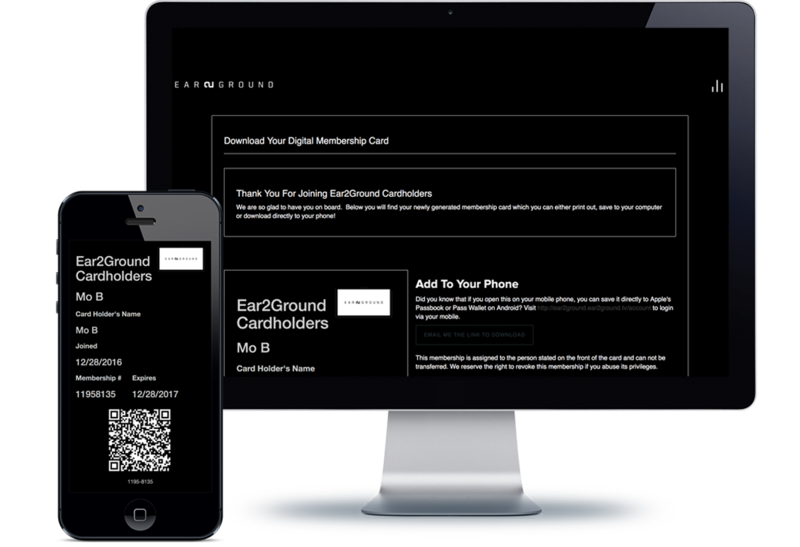 With our our venue app, you can easily scan and track your members digital IDs directly from your Apple device. Members have access to tickets, offers/coupons, RSVPs, and points they have accumulated. Reward for more than just purchases. Automatically reward points for website visits, merch purchased, hashtags, form completed and more. Encourage your audience to post a photo with #YourBrand or #keyword.